In order to keep this forum organized and help you as soon as possible here are some guidelines and rules. Before posting an issue search the forum and google for possible solutions, often others have already encountered the same issue. For posting an issue, problem or question copy this template (everything within the code section) in your post and complete it. An explanation is written below for if you are having troubles filling it in. 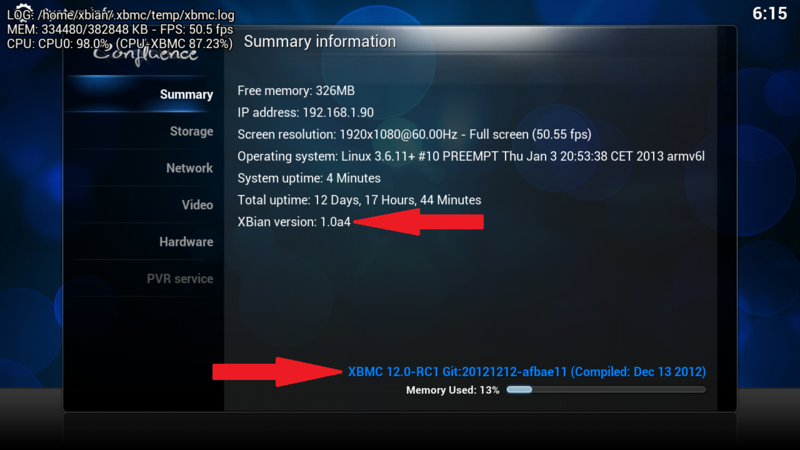 The current XBian version and XBMC/Kodi version can be found in the GUI: go to System > System Information > Summary. See http://i.imgur.com/Effog.png for an example. If you have never changed the overclock settings fill in ‘default’ here. If you have changed them you know where to find them. The hardware section should speak for itself. XBian supports multiple platforms, so please make sure you correctly indicate all details about your device. In general, we expect debug logging to be enabled. For XBMC until version 13.2, the log file is located in .xbmc/temp/xbmc.log in the case you would like to get it from within SSH (XBMC/Kodi wiki Linux FAQs/1.1 Linux XBMC log) or just directly locate on your SD card plugged to your computer. For Kodi (the new name of XBMC since version 14), the log file is located in .kodi/temp/kodi.log. If your post is not related to XBMC/Kodi post the appropriate log file, if you don’t know leave it empty and ask for help. Never post log files directly into your post but use http://pastebin.com/ and post a link. Try to be as clear and complete as possible in your problem description. Also describe the steps to reproduce the problem (if applicable). If you have any additional information you think is required, of course include it in your post. Report back whether the solutions suggested are working or not and provide additional information if requested. If it is solved: a simple ‘thank you’ does not hurt and will keep people motivated. If you found a solution yourself in the meantime please also report back, it will definitely help others. If you are sure the issue is in XBian code and you can not find help in our forum from community of other users, please report it to our github where our developers can have a look into it. Be nice, clear and complete.